Monthly reports for the North Dakota Grain Industry Data (Grain Trax) page were updated on March 29, 2019. The December 2018 North Dakota Dry Bean Stock Report is now online. On March 5, 2019, speakers from both the Canadian Council of Motor Transport Administrators (CCMTA) and the Federal Motor Carrier Safety Administration (FMCSA) discussed the impacts of cannabis legalization. View the recorded webinar and accompanying presentation slides. On February 12, 2019, Nikki McDavid provided an update on the Federal Motor Carrier Safety Administration's (FMCSA) rulemakings and programs, including the Under 21 Military CDL Pilot Program, Drug and Alcohol Clearinghouse, Entry Level Driver Training, and more. View the recorded webinar and accompanying presentation slides. On March 5, 2019 speakers from both the Canadian Council of Motor Transport Administrators (CCMTA) and the Federal Motor Carrier Safety Administration (FMCSA) will discuss the impacts of cannabis legalization. The objective of this report is to provide a benchmark for elevator managers in assessing performance, and supply a source for recognizing trends in the characteristics of North Dakota elevators. This report represents a continuation of analysis concerned with the patterns and methods of distributing grain from North Dakota. The collection and compilation of this type of data began in 1956-57. The objectives of this report, like prior reports,are to provide the necessary database for identifying trends in the distribution of grain and oilseeds from North Dakota. Monthly reports for the North Dakota Grain Industry Data (Grain Trax) page were updated on February 5, 2019. Nikki McDavid, Chief of the Commercial Driver’s License Division at the USDOT’s Federal Motor Carrier Safety Administration will provide an update on FMCSA Rulemakings and programs during a Feb. 12 Webinar. Key topics will include the Under 21 Military Pilot Program, Drug and Alcohol Clearing House, Entry Level Driver Training, U.S. Custom Harvesters and the Employer Notification System. There will also be time for questions and discussion. This study was Phase 3 of the three-phase livability study in researching the nexus of transit and livability in U.S. communities. 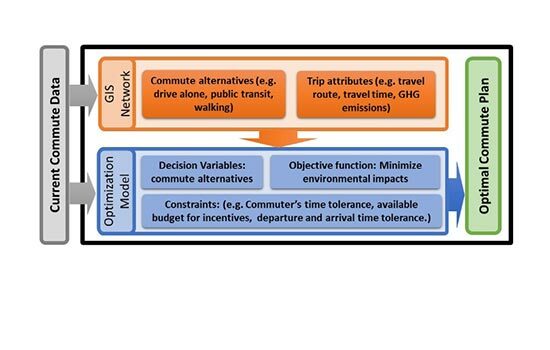 The objective of the study was to conduct a National Community Livability Survey (NCLS) in both urban and rural communities in the United States and analyze the role of transportation and public transit toward quality of life. Monthly reports for the North Dakota Grain Industry Data (Grain Trax) page were updated on January 3, 2019. Thanks to the fourth grade students who participated in our poster contest. These new superheroes are helping to get us all home safely every day. Way to go! Download the calendar today. U.S. durum production is around 30 million bushels annually, North Dakota accounts for over half of that total. North Dakota is also a forerunner in the U.S. wheat industry, ranking second among states in total wheat production and first in production of hard red spring wheat. The 130 attendees gave the Commercial Vehicle Safety and CDL Compliance Summit high marks for information on new technologies, a content-rich agenda featuring a variety of topics, networking opportunities and knowledgeable presenters. The Summit was Nov. 28-29 in Denver, CO. and was organized by UGPTI with support from the FMCSA. The November edition of Safety Talk walks you through the steps to make a tp-alcohol survival heater with 3 simple items. Monthly reports for the North Dakota Grain Industry Data (Grain Trax) page were updated on November 29, 2018. The objectives of this study were to determine the impact of oil boom and bust cycles on transit ridership for individuals living in the oil patch in western North Dakota as well as how variables such as income, land use, population, and local operating investments affect livability. The National Center for Pavement Preservation is putting together a team of DOT leads that will review various preservation techniques to initiate the open conversation of peers across our 4-state region as a part of EDC-4. Year-end reports for the North Dakota Grain Industry Data (Grain Trax) page have been updated for 2018. The statewide driver traffic safety survey provides baseline metrics for the North Dakota Department of Transportation Safety Division and others to use in understanding perceptions and self-reported behaviors related to focus issues. A research paper on safety at highway rail grade crossings written by two NDSU students was recently featured on the cover of the journal Safety. "Application of Machine Learning Method to Evaluate Road Roughness from Connected Vehicles" was recently published in the Journal of Transportation Engineering, Part B: Pavements. UGPTI's Raj Bridgelall was a co-author of the article. NDSU researcher Kimberly Vachal recently presented an assessment of North Dakota's 24/7 Sobriety Program at the 62nd Annual Scientific Conference of the Association for the Advancement of Automotive Medicine in Nashville, TN. With winter weather comes snow fighting and with snow fighting comes fatigue. Unpredictable weather can lead to long difficult hours on the road with few breaks and little sleep. However, there are several things agencies and drivers can do to make sure crews are in good shape to combat Old Man Winter, maintain our roads, and get home safely. The Commercial Vehicle Safety and CDL Compliance Summit will be Nov. 28-29 at the Tivoli Student Union on the University of Colorado campus in Denver, CO. This event will bring together state law enforcement, driver licensing agency, and university representatives from the Federal Motor Carrier Safety Administration (FMCSA) Western Service Center region. The July 2018 North Dakota Dry Bean Stock Report is now online. Monthly reports for the North Dakota Grain Industry Data (Grain Trax) page were updated on September 27, 2018. The National Transportation in Indian Country Conference is being held this week in Duluth. Todd Macalady and the Conference planning committee have put together a fantastic event. We would like to thank everyone for their submissions to the 2018 “You Show Us” contest. Congratulations to the city of Dickinson on their winning submission, the crack leveling material spreader. All of the innovative ideas from 2018 and before can be viewed through the NDLTAP website. Ramsey County Live Bridge Replacement Sept. 18, 2018 Ramsey County will be installing a prefab bridge, it is an 80 foot long and 28 foot wide structure and will be in three 80 foot long pieces. The bridge has been purchased from TrueNorth Steel. This is the longest bridge of this style in North Dakota. The Summit is a must for all local agency truck drivers and supervisors. During this special one-time offering, morning classroom learning will be put into practice during the afternoon outdoor exercises (i.e., load securement, truck loading, spotter backing, tire repairs and more). Event times are CST in Valley City and MST in Manning. Monthly reports for the North Dakota Grain Industry Data (Grain Trax) page were updated on August 30, 2018. NDLTAP director Dale Heglund and UGPTI communications coordinator Tom Jirik met with Dr. Charlie Stoltenow, assistant director of the NDSU Extension Service earlier this week. The group met to discuss how UGPTI (particularly NDLTAP) can collaborate with NDSU Extension to help ND counties and townships succeed in light of the ever-increasing demands on them. Featured programs, resources available to tribes, coming events and more are featured in the newest issue of the Tribal Transportation Outreach Newsletter. NDLTAP’s Denise Brown was in Stark County with motor grader instructor Gary Steiner providing training for operators in Stark and Dunn Counties. Motor grader training has been scheduled at several locations across the state this fall and instructors Gary Steiner and Russ Klimpel are getting great reviews from participants. UGPTI’s Jeremy Mattson was recently interviewed by the Winnipeg Free Press for an article on efforts to provide transit service to rural areas once Greyhound and other commercial bus services abandon those routes. UGPTI researcher Raj Bridgelall was among the speakers at the "Sensors 2018" conference in San Jose, CA, June 26-28. Bridgelall was a feature speaker at a pre-conference symposium. Monthly reports for the North Dakota Grain Industry Data (Grain Trax) page were updated on August 1, 2018. NDLTAP was a partner in the Walsh County Road Day and Open House August 1. More than 300 Walsh County residents attended the road crew's celebration. Also on hand were Walsh County Commissioners, Rich Sanders, president of the National Association of County Engineers, Tom Sorel, NDDOT Director, and Major Tom Iverson, ND Highway Patrol. Heglund Participates in "Lightning Talks"
NDLTAP director Dale Heglund was among four invited speakers who were part of a new Visiting Scientists Series at the Bismarck Veterans Memorial Public Library. Heglund discussed converting paved roads to gravel, describing why sometimes a paved road might be better made of gravel. Dilip Mistry has joined the Small Urban and Rural Transit Center as a postdoctoral research fellow. He has more than 10 years of work experiences in the field of Data Science, GIS Data Analyst, Customer Relationship Management (CRM) Consultant, and Oracle Business Intelligence Consultant. The March 14 event in Bismarck was facilitated by staff from the UGPTI. More than 100 individuals from congressional offices, the ND Legislature, FHWA, state agencies, transit providers, various associations, metropolitan planning organizations, consultants, contractors, and suppliers attended. Monthly reports for the North Dakota Grain Industry Data (Grain Trax) page were updated on June 28, 2018. NeTia Bauman, Tribal Program Outreach Coordinator recently became a nationally-certified instructor for the North Dakota Safety Council's (NDSC) Alive at 25 defensive driving course. AA25 is a highly interactive 4.5-hour program targeted toward drivers under the age of 25 and helps young drivers take greater responsibility for their driving. A record crowd of more than 200 representatives from road agencies, contracting companies, highway departments, engineering companies contractors and suppliers attended the 2018 ND Asphalt Conference April 10-11. A delegation from the Central Japan Railway Company visited NDSU to learn more about technology being used in agriculture and transportation that may have applications in railroad operations and safety. Join NSC and thousands of organizations nationwide as we work to ensure No One Gets Hurt. Observed annually in June, National Safety Month focuses on reducing leading causes of injury and death at work, on the road and in our homes and communities. Monthly reports for the North Dakota Grain Industry Data (Grain Trax) page were updated on May 30, 2018. The need to be seen is critical for worker safety. Low visibility is a serious hazard for all workers who perform work tasks near moving traffic. NeTia Bauman, UGPTI's Tribal Program Outreach Coordinator, is representing UGPTI's tribal outreach effort on the 2018 National Transportation in Indian Country Conference (NTICC) planning committee. Have you developed a way to get your work done faster, safer, easier or cheaper? Share your idea and earn some recognition for your efforts. NDLTAP is now accepting submission for its 2018 "You Show Us How" contest. Monthly reports for the North Dakota Grain Industry Data (Grain Trax) page were updated on April 25, 2018. Each year, UGPTI awards scholarships to encourage students to pursue careers in transportation and to recognize outstanding achievement. Applications are due May 31.